← PAL Robotics is sponsoring the new ERL SciRoc Challenge! 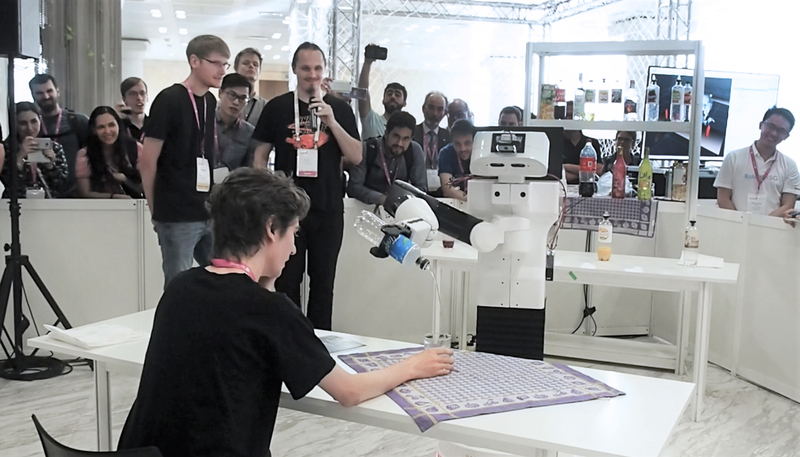 One TIAGo robot, six teams, and 24 hours: the IROS 2018 Mobile Manipulation Hackathon (MMH) was exciting and challenging at the same time, and gathered a lot of attention! 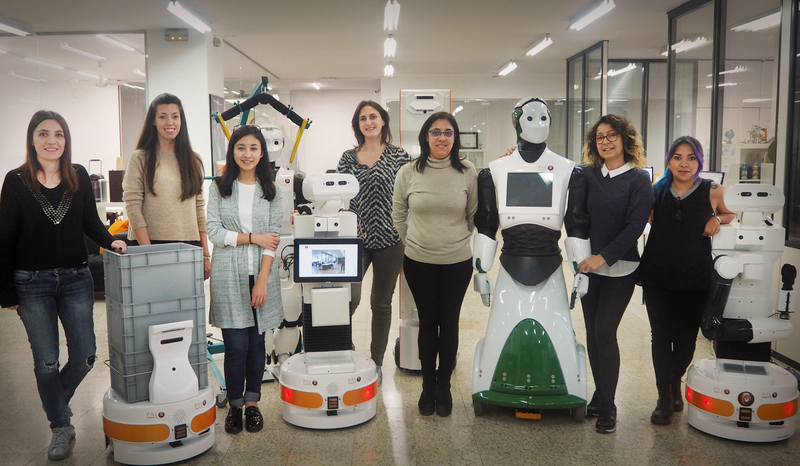 Every afternoon two of the six selected teams showed all they could program into the TIAGo robot in record time. 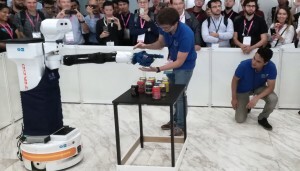 The results are impressive: TIAGo robot became a waiter, a shop clerk restocking products, could feed people and tidy a table. TAMS Team turned TIAGo robot into a waiter serving at a very special bar. The mobile manipulator Bartender could understand which was the customer’s desired drink when he pointed at the menu, and after that, it found it in the shelf, picked it, and could successfully pour some drink on the customer’s glass! Watch the full demo here. 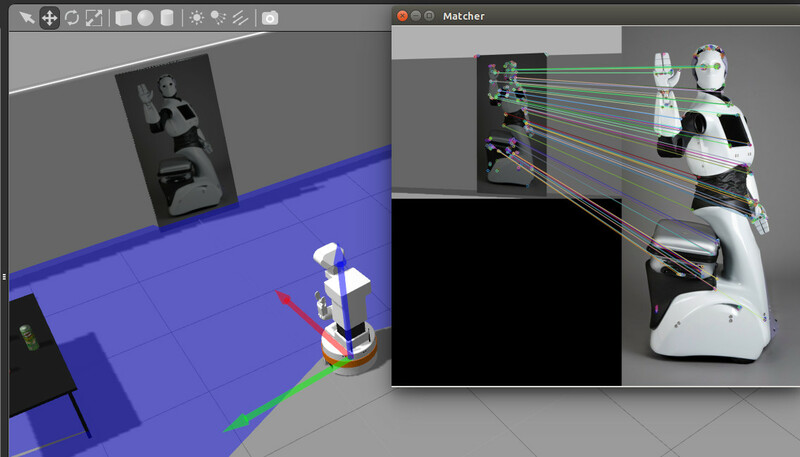 The TAMS Team also published all their demo software on GitHub! Find the main repository with documentation and rosinstall files here. Robotics.SG Team customized their TIAGo robot with a tray attached on its base and programmed it to restock misplaced products in a convenience store. TIAGo loaded a tray with the misplaced products and recognized each product, picked it and placed it in the correct rack. The idea came up due to their concern of a future in which the aging population will lead to a human resources shortage. Robots can become a helping hand to overcome such a challenge. Watch the full demo here. The TIAGo robot from Homer Team had the mission of tidying a table full of hard to grasp cutlery. It was able to pick a spoon, navigate to another area and autonomously place it into a bowl a couple of times – even when the jury challenged the team by asking to move the position of the table. 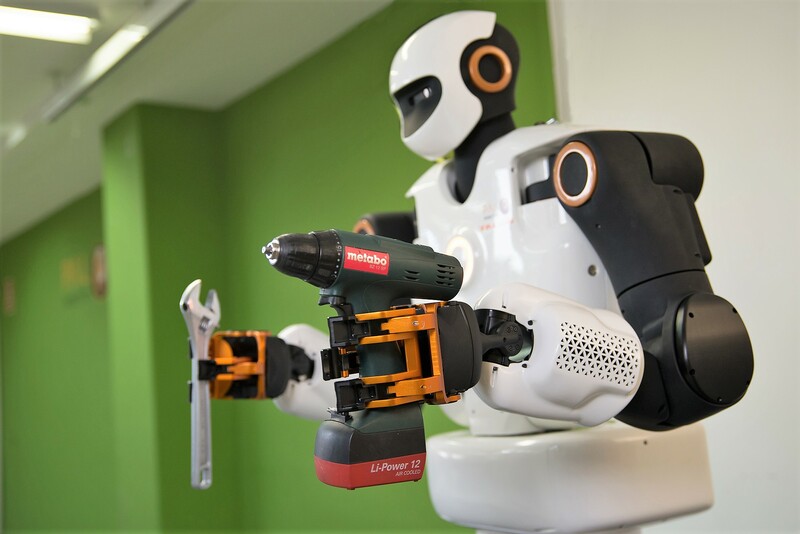 They enabled TIAGo to feel the table comparing the current consumption of the arm with the accurate prediction provided by the dynamic model and the current sensors in the joints. Watch the full demo here or read the team’s impressions on Homer Team’s Blog. 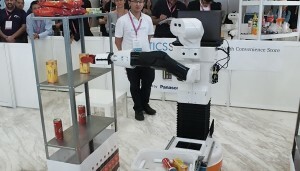 The IRI TIAGo robot focused on an assisted living task which consisted of aiding a person to eat. They customized their TIAGo robot with a 3D printed piece that enabled the robot to comfortably carry a dish full of food. After placing it on the table, TIAGo got a spoon and could feed the person. A camera added to the gripper recognized if the person had the intention to eat detecting if the mouth was open, and only then TIAGo delivered the food. 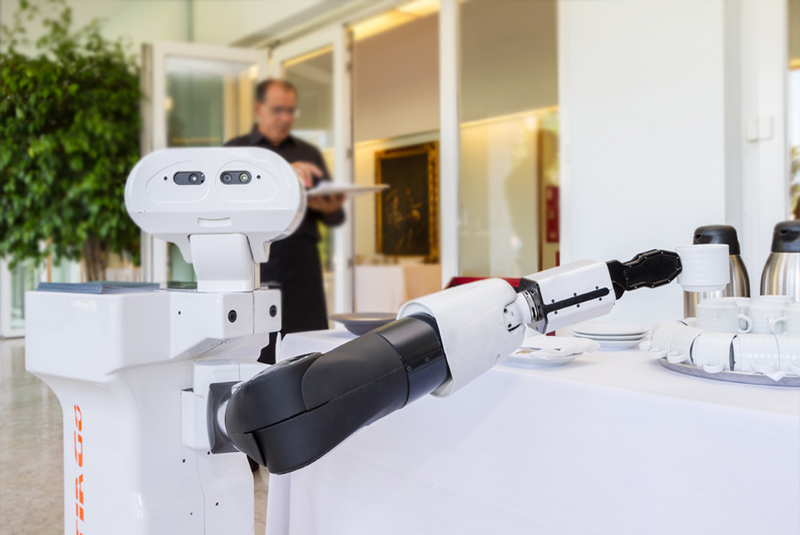 AUDECO-IOC-UPC Team’s demonstration consisted too on having TIAGo robot serving some drinks at a bar. 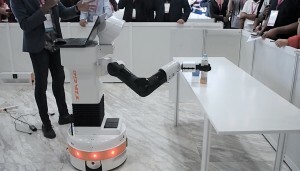 They properly dressed their TIAGo in an apron and a bow tie and plugged their customized robotic hand as the end-effector for their demonstration. 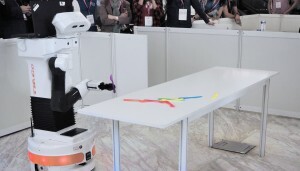 The Japanese team aimed to prepare TIAGo robot to grab and serve a drink in a domestic environment. The robot had to detect and distinguish the drinks placed on a shelf, pick a bottle from it, bring it to a table and serve the drink by pouring the liquid into a glass. Many thanks to the Judges, Sponsors, and Organizers, to make the Mobile Manipulation Hackathon an enjoyable and enriching experience for everyone!